9. Package includes Books of Income Tax (Vol. I & II), MCQ + Q & A (One Volume) and a lecture on an average of 2½ hours). Tags: Taxation Income Tax Pendrive, Pendrive Classes for income tax, CA. RAJESH SHARMA SIR Pendrive Classes, CA. 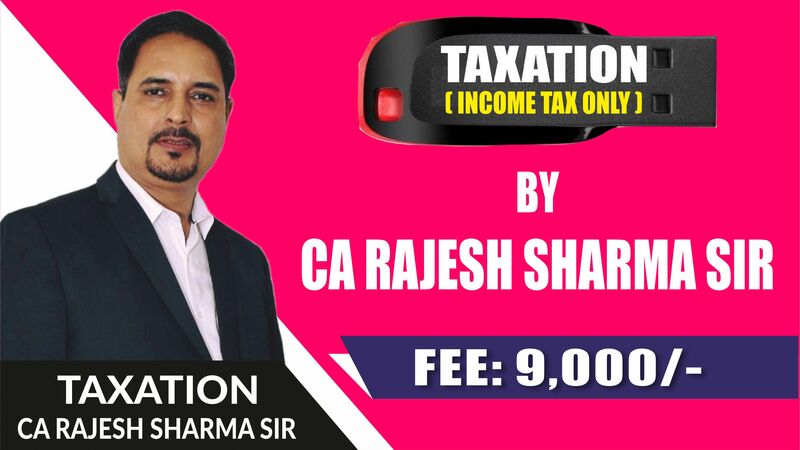 RAJESH SHARMA SIR Sir Pen Drive Classes for income tax, Income Tax Pendrive Classes, Income Tax Pendrive Classes For May 19 Attempt.